Welcome to European Apostolic Leaders (EAL)! Since the beginning of the Church in the «Acts of the Apostles», apostles, prophets, and apostolic and prophetic ministry have been crucial for the expansion of the Gospel and the implementation of the Cultural/Creation Mandate (Genesis 1:26-28) and the Great Commission (Matthew 28:18-20). 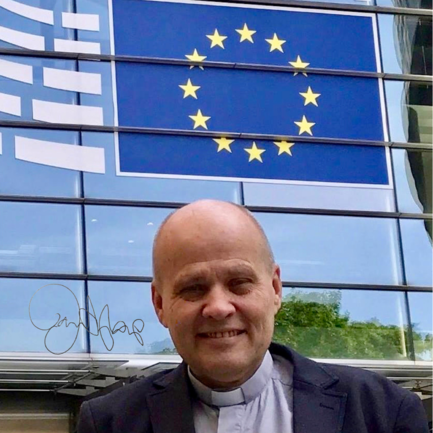 EAL is a movement of apostles and prophets who are actually bringing transformation to the nations and institutions of Europe - and beyond. EAL is not a denomination - nor an «apostolic network» that provides spiritual covering to members. We are a movement of peers that seek to combine our vision and resources for the transformational work of the Holy Spirit in the world. (Top photo shows the Executive Committee. Left to right: George E. Markakis (Greece), Marshall Cross (Scotland), and Jan-Aage Torp (Norway).